ASHENDENE PRESS. THUCYDIDES. History of the Peloponnesian War. Chelsea: Ashendene Press , 1930. 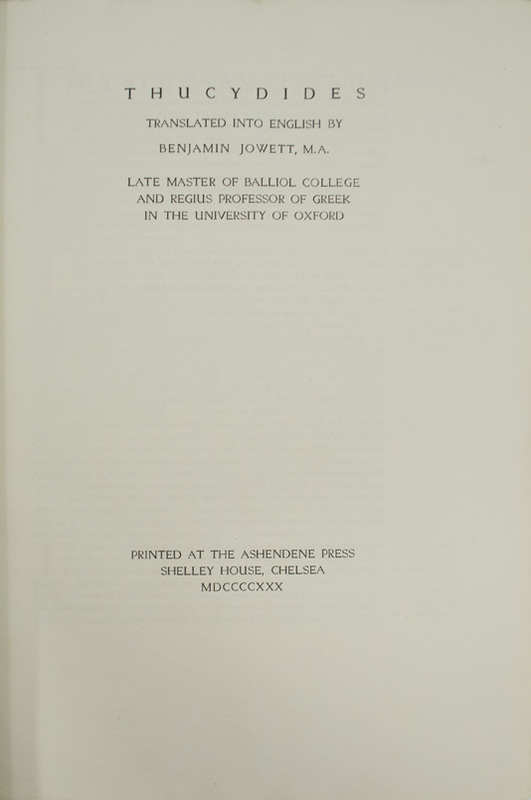 One of 260 copies printed on paper. 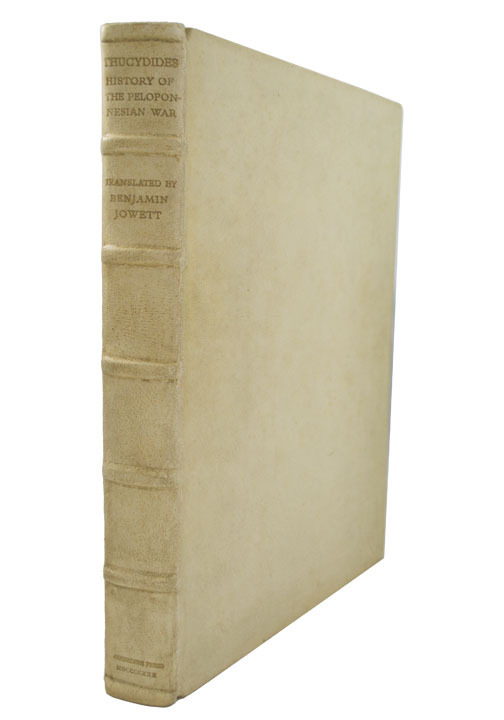 Folio (15 3/4 x 10 3/4 inches; 400 x 275 mm). [viii], 1-, [6, blank] pp. Printed in Ptolemy type, long lines. Each chapter begins with a 3-line red initial designed by Graily Hewitt. 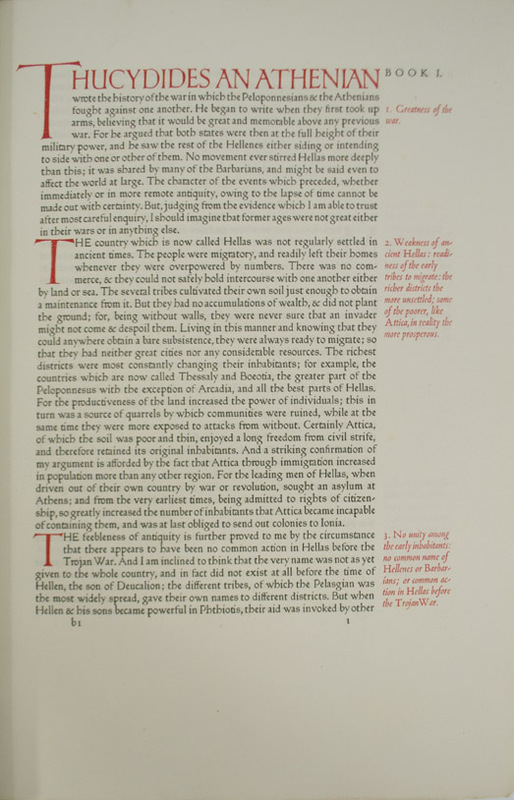 Also, the opening line of each of the eight books was designed by Hewitt and is printed in red. With publisher's perspectus laid in. Full white pigskin. Binding slightly rubbed and soiled. Spine slightly browned. Some minor foxing to fore edge of text. 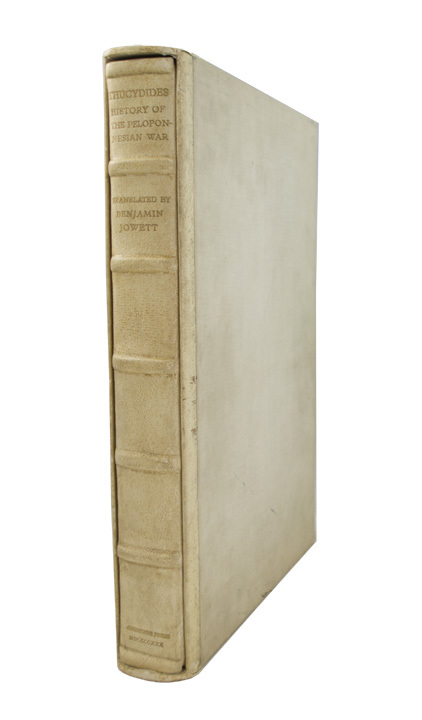 In the original pigskin-edged slipcase. Near fine. Ashendene Bibliography XXXVII. Ransom, Private Presses. Tomkinson.